Charlie needs his teeth properly cleaned. That can of course only be done with anesthetic. He is 9 years old. Already older than most Bernese Mountain dogs get. 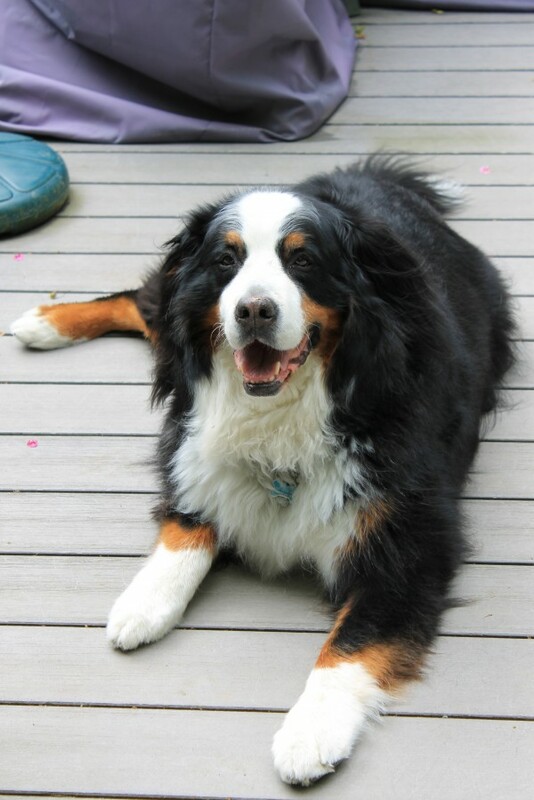 And we lost another Bernese, just before his 9th birthday when he was under to get his teeth done. Given all the drama with Charlie's sister Madison, who is doing really great despite being 10 years, battling bone cancer and now having an ACL tear, I am afraid. My hubby just spoke to the vet and the vet thinks that a) anesthetic has improved since and b) he rather do it now while Charlie is overall healthy with only a little arthritis. Charlie also had ACL surgery last year and came through with flying colors. My daughter hates our vet. She says he will do anything for money (she had bad experience with him, treating a bunny which should have been put down a year or so earlier than when actually done). I don't care about that so much, I just want Charlie to be well. For what it's worth, I agree re the opinion re money with my daughter but I believe also he is a very competent vet.